The Loonie’s Decline: Here to Stay? Home › Business › The Loonie’s Decline: Here to Stay? The loonie has fallen below 89 cents, a sharp decline for a currency that was stubbornly stuck around parity for almost three years. Is this a temporary tumble or is the loonie going south for a prolonged period of time? Here at the Canadian Chamber of Commerce, we think the dollar is headed lower, likely to average 85 cents in 2015 and it could fall even below that because of three reasons. The Canadian dollar is often called a ‘petro-currency’ because its movements track so closely with oil prices. The rule of thumb was that a $10 increase in the price of a barrel of oil would push the loonie up by three cents. But oil prices are headed lower, mainly because a new drilling technology, hydraulic fracturing, has caused an astonishing boom in U.S. crude oil production, now surging to a 45-year high. In 2011, the U.S. had to import almost half of the oil it consumed. By next year, imports will only account for 21% of American oil consumption, and within a few more years, the world’s largest consumer of oil will become a major exporter. Thus, a massive increase in global oil supplies while demand growth has been fairly weak. There is a sea change in investor perceptions about the outlook for inflation and interest rates. With the U.S. economy roaring ahead at 4.6% GDP growth in the second quarter and the unemployment rate down to 5.9%, investors are expecting inflation could pick up very quickly and the U.S. Federal Reserve will have to raise interest rates in July 2015 or earlier. Meanwhile, Canada’s domestic economy remains soft and there are few signs of inflation, so little need for the Bank of Canada to raise interest rates anytime soon, a point Governor Poloz has made repeatedly. This makes American securities far more appealing to investors. A torrent of investor funds flowed into Canada from 2009 to 2012 because the country was seen as a safe haven and this drove up the dollar. The Canadian economy fared better than any other G7 country during the great recession and our banks did not require any bailouts. But now, Canada is starting to show vulnerabilities, particularly our soaring consumer debt and a potential housing bubble, right when the U.S. is getting back on track. Investors have no need for a Canadian safe haven in the midst of the booming U.S. economy and so we have seen rising net outflows, particularly from Canada’s government bonds. 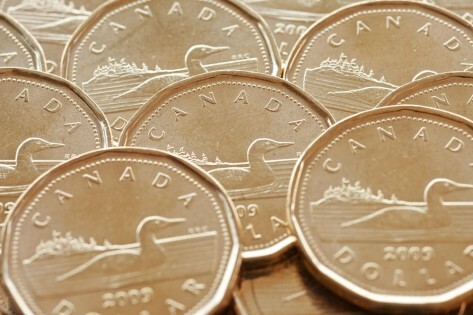 Next year, when U.S. interest rate hikes become a certainty, while Canada’s remain unchanged, the flow of investment funds will accelerate and the loonie will head lower. Overall, it’s not Canadian weakness that’s causing the loon to swoon, it’s American strength. The Canadian economy and Canadian consumers held up extraordinarily well during the past five years, but we need a slow-down to fix some of our debt imbalances, and this is happening right as the U.S. heads into overdrive. The tired old loonie is missing a few feathers and needs a rest while the American eagle is hungry after a long hibernation and is about to take flight. We wish her Godspeed. ‹ What Business Do’s and Don’ts Have Impacted Your Success?